Getting 404 Error with YouTube Videos. I am trying to put in a youtube widget and getting a 404 error. i have actually tried several widgets and get the same error. The image slider works, but none of the youtube stuff does. All videos are public. Yes, there's certainly something wrong with the YouTube widget. I tested it both in a clone of your form and in one of my own forms and got the same result you did. Thanks for informing us and our apologies for any inconvenience which may have been caused. 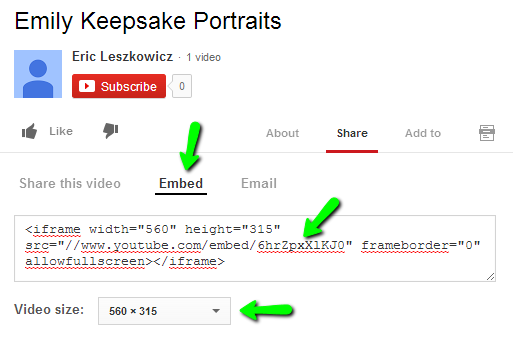 While our developers look into this, you can use the iFrame Embed widget. I've tested it and it displays the videos okay. After that, click Finish and save the form. Please be advised that the problem has been fixed. Should you experience further issues, do let us know. Thank you both work now. The Youtube option is preferrable - thanks. I have been aving the same issue with my recent forms. More inportantly when I open the forms now the old space for the youtube widget is a blank gray square with the 404 error and it will not allow me to delete it. Then we will reply to you as soon as possible.